The haplogroup (clade) name is given first, followed by a list of one of more SNPs*. Some list items have more than one name, in which case the item is followed by its alias in parentheses. To find an individual's haplogroup, go to the most downstream positive (derived) SNP. To see the subclades and their SNPs, click on the haplogroup name. The BR haplogroup split off from haplogroup A 55,000 years before present (bp). It probably appeared in North East Africa. The CR haplogroup was the common ancestor of all people who migrated outside of Africa until recent times. The defining mutation occurred 31-55,000 years bp in North East Africa and is still most common in Africa today in Ethiopia and Sudan. The DE haplogroup appeared approximately 50,000 years bp in North East Africa and subsequently split into haplogroup E that spread to Europe and Africa and haplogroup D that rapidly spread along the coastline of India and Asia to North Asia. The IJ haplogroup characterizes part of the second wave of emigration from Africa that occurred via the Middle East 45,000 years bp and defines two branches I and J that emigrated northwards and eastwards into Europe. The J branch subsequently split again and contributed to the current North African population. 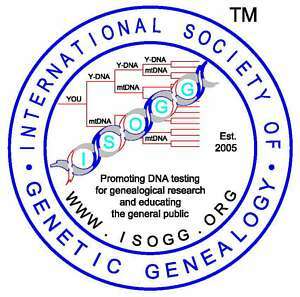 The NO haplogroup appeared approximately 35,000-40,000 years bp in a region east of the Aral sea; subsequent branches spread to North Asia (N) and another branch (O) to South Asia via North India. Butler, Recent Developments in Y-Short Tandem Repeat and Y-Single Nucleotide Polymorphism Analysis. (pdf) Forensic Sciece Review, Vol. 15, No. 2, 100-111, 2003. In Haplogroup descriptions, the IJ branch was slightly rewritten for clarification on 12 May 2006. Added Kayser et al (2006) on 9 October 2006.